As a teacher chances are you have already created a presentation of some sort or presented in front of an audience (e.g., in a conference, at school…etc). And as you know, presenting is a skill that requires practice at two levels: the first level is related to the creation process and the second one is related to the delivery of the final product, that is, the actual presenting before an audience. 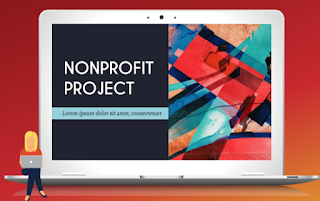 In today's post, we are concerned with the first level: how to create effective and professionally looking presentations. The first step in creating a successful presentation is planning. In the planning process you get to brainstorm ideas, organize your content, and write draft scripts that will make it into your slides. Of course, your scripts will go through several reiterations before you decide on the final content to use on your slides. Next, try to structure your content in such a way that will make it easy for your audience to follow and understand your message. Decide on what goes first, in the middle and at the end of your presentation. Leave your informationally salient ideas till the end because that’s what readers and viewers retain the most from your presentation. Once the content of your slides is ready, you will need to use a web tool of your choice to create your presentation. We have curated for you some of the best tools you may want to try out in this regard. See the list below. After selecting your presentation software and picking out the template you like, you start populating your slides. Given the visual nature of presentations, your slides should not contain condensed lengthy paragraphs. Text should be minimally represented on your slides. Try to summarize the gist of your content in pointers and bullet points. Also make sure you illustrate those ideas with relevant copyright free images. You can find tons of copyright friendly images to use in your presentations from these websites. 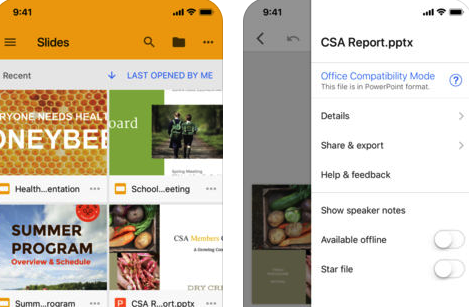 Now that your slides are ready, go through your presentation once again, edit what you need to edit, or even share it with a colleague of yours and ask them for their feedback. You may also want to leave it for few days and then come back to it with a fresh set of eyes and see whether you are content with the final product or not. Next comes the second level: the actual delivery of your presentation which we might probably cover in a future post. For now, here are some of our favourite tools to help you create visually attractive presentations. The three criteria we used in our selection are: simplicity of the tool, its cost and user-friendliness. Have a look and share with us in our Facebook page if you have other suggestions to add to the list. This is definitely one of the best free presentation softwares for Mac users. We have been using it and recommending for our readers for several years now. 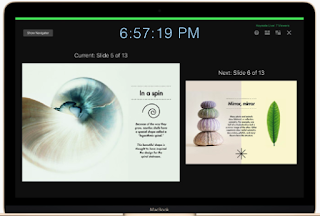 Keynote embeds all the required features you need to create beautiful presentations. These include free templates, different animation styles, embedding of various content types such as text, images, tables, charts, etc. Your presentation is saved to iCloud so you can access it anywhere you are. 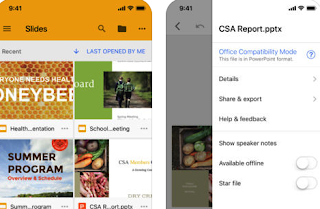 Just make sure have access to OS or iOS device where you are to deliver your Keynote-created presentation or you will have to convert it to another compatible format. 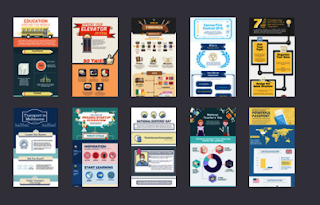 Google Slides is the second in our list of favourite presentation tools. It is simple and easy to use. It is also integrated with Google Drive enabling you to cross-use content from other Drive tools. In terms of features, Slides has a basic set of features that are, in our view, enough to create beautiful presentations. You have a template gallery with good options to choose from, different text fonts and colours, supports insertion of multimedia content into slides, different animation styles and many more. It also provides different sharing and collaborative features. If you are looking for more flashy and dynamic features, Prezi is a good option. Its premium version comes at a low cost and provides a bunch of interesting features. They also provide discounts for students and schools. Some of its features include: fully customizable templates, tracking metrics to help you see who has seen your presentation, advanced zooming options, collaborative group editing, offline presentation mode, remote presenter tool and many more. Haiku Deck is another good presentation software to consider. It has tons of amazing features and works on both the web and iPad. Like Prezi, it offers special pricing discounts for students and educators. Haiku Deck provides some beautiful and simple layouts, a number of stylish fonts, image filters, access to Creative Commons images and many more. 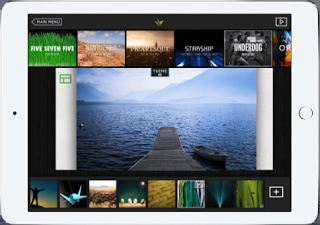 Visme offers a presentation mode where you get to design your own presentations from scratch or you can use one of the pre-made templates offered in their gallery. 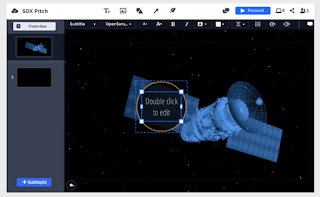 Visme has this good feature that lets you import your PowerPoint presentations and work on them online. You can also download your Visme presentations and present them offline with no Internet connection. It also offers detailed analytics to track user interactions with your slides. This is basically one of our favourite tools for creating infographics and posters but it also has a presentation editor that allows you to create simple and basic presentations. You will not find the features a standard presentation software offers but it does serve the purpose. You can choose from the pre-made set of templates there, customize them the way you want, add your content and when you are down you can download and share with others.